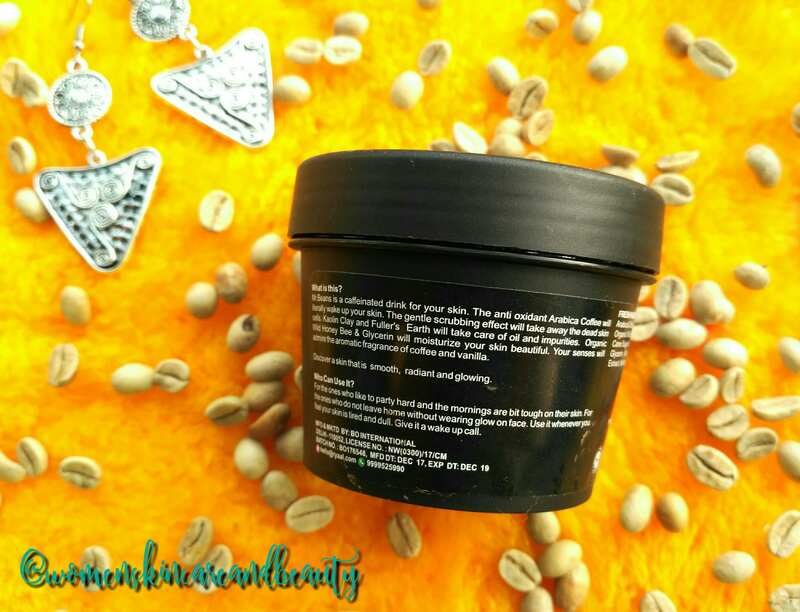 DESCRIPTION: Deep cleansing and illuminating scrub mask. Mr. 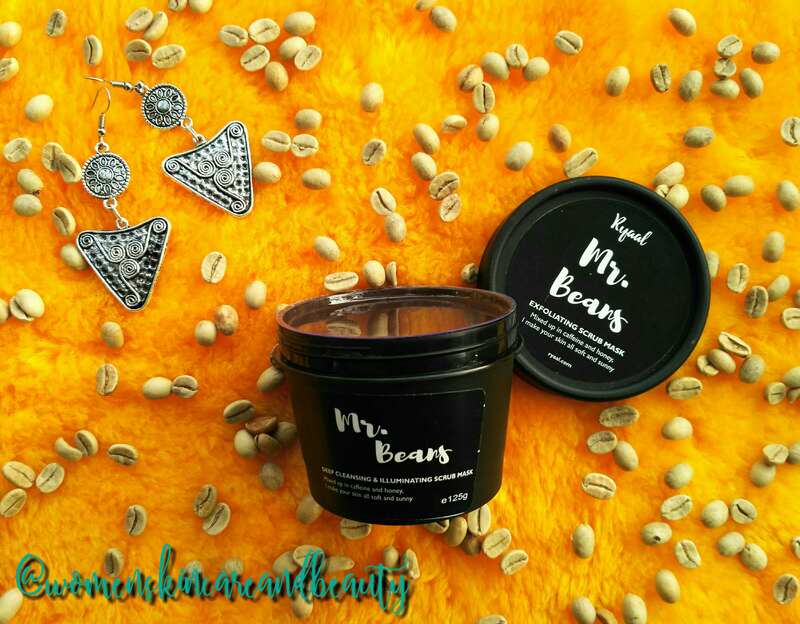 Beans is a caffeinated drink for your skin. The anti oxidant Arabica coffee will literally wake up your skin. The gentle scrubbing effect will take away the dead skin cells. Kaolin clay and Fuller’s earth will take care of oil and impurities. Organic wild honey bee and glycerin will moisturize your skin beautiful. Your senses will admire the aromatic fragrance of coffee and vanilla. Discover a skin that is smooth, radiant and glowing. For the ones who like to party hard and the mornings are bit tough on their skin. For the ones who do not leave home without wearing a glow on their face. Use it whenever you feel your skin is tired and dull. Give it a wake up call. 1. Easily available online on Amazon, Flipkart and Ryaal’s own website! 2. Although the product is of 125 g, the packaging is not very bulky… Instead it is quite travel friendly and totally leak proof! 4. It effectively scrubs away all the dead skin cells & impurities and makes the skin look super fresh and clean! 5. Although the granules are slightly big, they don’t hurt the skin and neither harm the live acne present! 2. Available in just one size! Wow! This seems to be a great scrub!! Seems like this is a very promising scrub.. Havve heard about this product earlier too but never tried.. will check out.. Seems this scrub actually works, thanks for the detailed review! Nicely reviewed. I like that it doesn’t leave skin dry after use. The pros are far more than the cons. Can give this a try. I love face scrubs that aren’t too mild and this one is just the kind that I love.. Will try this soon. 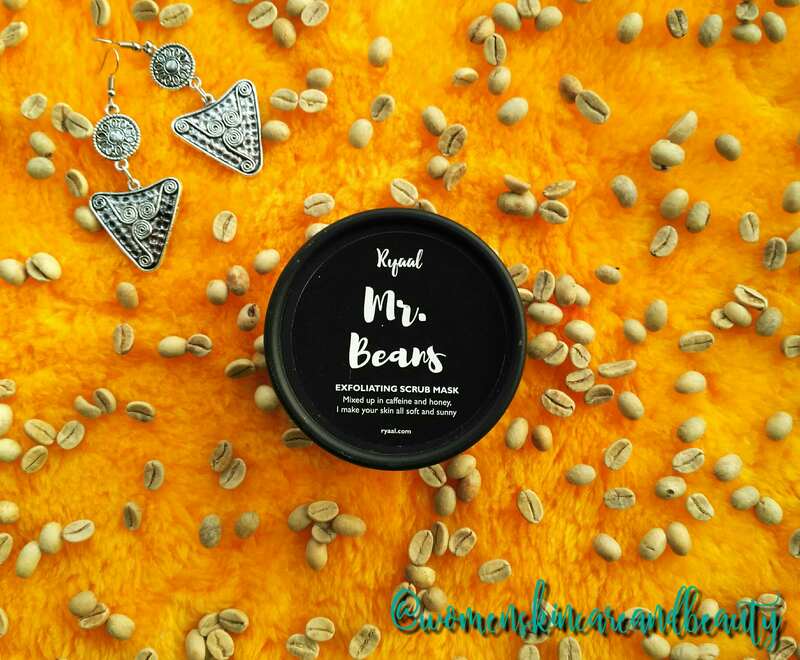 Coffee scrubs are doing some real good rounds on Internet. and I love the texture. The only thing I am worried is – will it leave my sensitive skin dry? I am a great fan of coffee so I am sure I will like this product. Liked the honest review given by you. I never tried Ryaal’s products I would love to try them as they are herbal and effective. 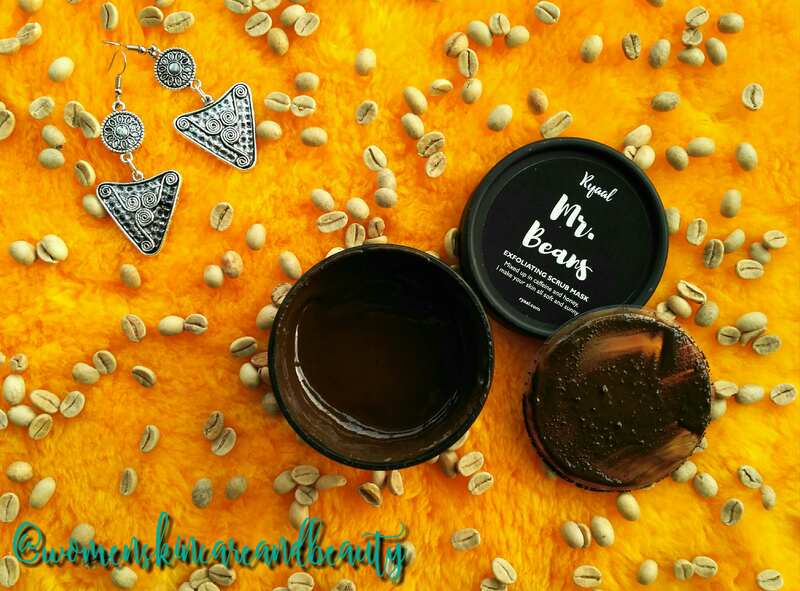 Love coffee scrubs and so your shots. Would love to go for the pros of this product. 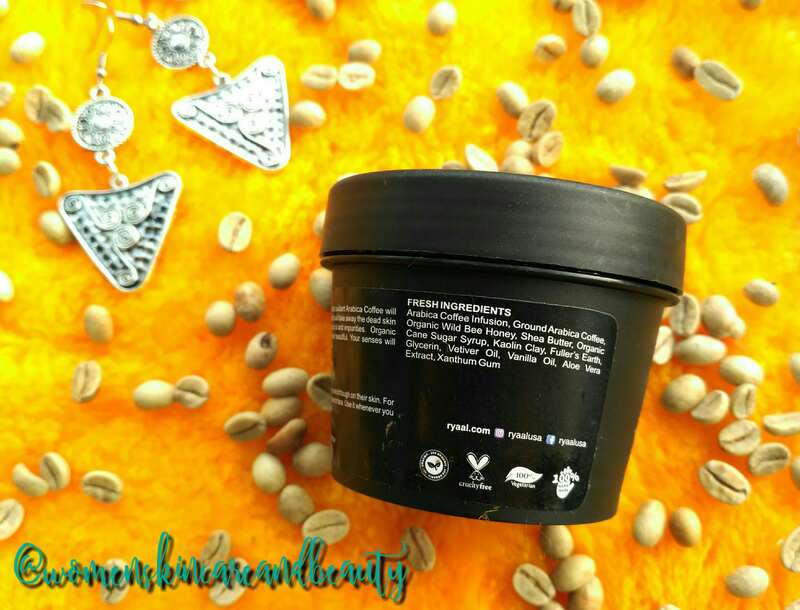 I love coffee scrubs.Would love to use this one. I have to buy this Deep cleansing and illuminating scrub mask. I have been looking for a good since a week now. I saw this on your Instagram and was intrigued with the name. So glad to read your review. I love coffee and coffee scrub would smell amazing. Its now on my wishlist already. I will really like this one as it has coffee in it. Plus it is looking little grainy in texture so think that it will perform scrub’ very well. I have heard so much about mr. beans. I am tempted to ty it now. 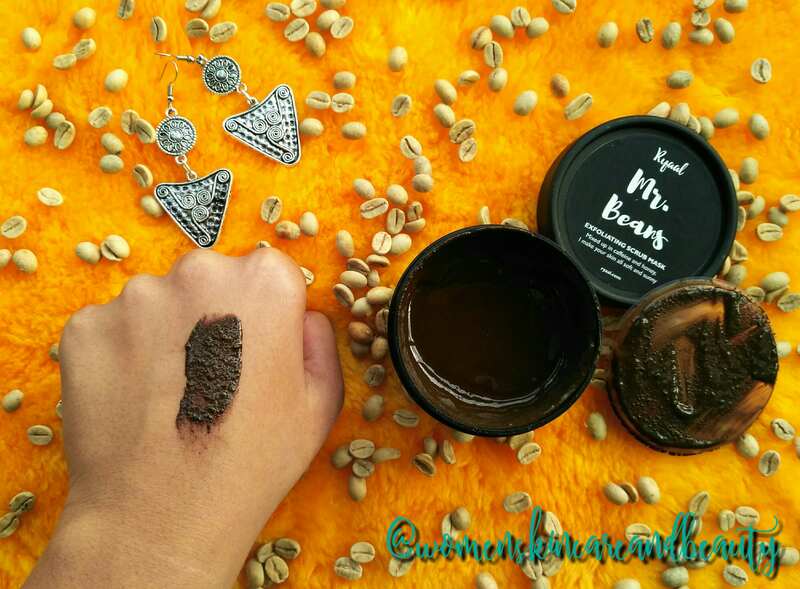 I was reading about this arabica coffee scrub yesterday only when I was planning to get a anti-acne cream for myself. This review made me so happy that I immediately wanted to try it out, but I’ll have to wait for my acne to clean and then try it. Coffee is my first love too in any form and I totally agree it leave ur skin soft and remove all dead skin will definitely try this soon ? This sounds amazing for an instant pep up for your skin. Ryaal has some great products. Would like to try it. Great review. Coffee for the skin? That’s a dream come true for the coffee lover in me. This product has my heart already ? Wow this is a beautiful product. I have been using this and best this is it’s amazing fregrance. To all coffee lovers, this is what you surely want. I sometimes want to eat that. You know whats the best part about this- the coffee smell m so tempted to use already.